Researchers working for the Nanyang Technological University of Singapore have developed a system that can pave the way for a robot “swarm” to 3D print buildings. This collection of robots would behave like a colony of ants working as a team to produce an elaborate structure. As of now, it is difficult for additive manufacturing devices to create a structure much bigger than the printer itself. Some businesses have gotten around this problem by having robots print each individual piece and join them together later. 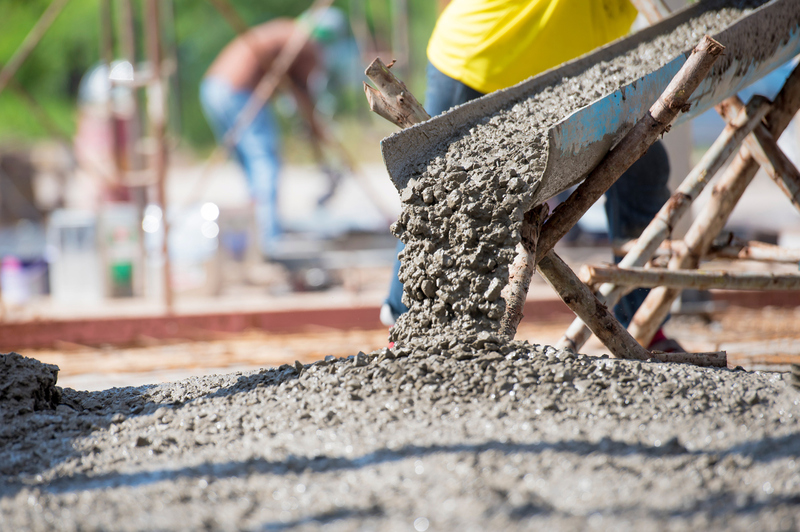 In terms of producing a concrete structure, sequential printing has never been the best option due to the poor bond strength associated with the process. NTU Singapore’s team led by Assistant Professor Pham Quang Cuong wanted to solve the scale problem without sequential printing. The researchers began looking into the possibility of creating a structure with two or more robots working simultaneously. First, the team developed robots that have a holonomic base, which allows the robots to move more flexibly. Then the robots were given a six-axis robotic arm with a print nozzle at the end which is used to apply concrete. The researchers had to ensure that the robots would follow paths and not bump into each other by using a 3D CAD model of the structure and a variety of cameras and sensors. Using this technology the robots created an environmental map to make sure they were on the right path. The robots created by the team were able to print a concrete structure that measured 1.86m x 0.46m x 0.13m (6.10ft x 1.5ft x 0.43ft) in only eight minutes, which is about half the time it would take if it was created using piecemeal printing. The structure then hardened in a day and was at full strength in a week. The potential for this technology is astounding, greatly increasing speed whilst reducing risk and waste – moving structures is typically the domain of of products like Entro Industries Walking Rigs – but the ability to 3-D print could revolutionize this process. While there is still much work to be done, this technology could revolutionize the construction and manufacturing industries. The team still wants to create a better mobility system that will help the robots traverse rough terrain and more sensors so that the nozzles can determine how to move on offset ground. Manufacturing Talk Radio will be sure to keep our eyes on this new technology so be sure to keep checking back with us here at MFGTalkRadio.com for all the latest details.